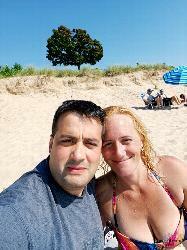 Early 40s couple looking to explore what SLS has to offer. We are clean and love the friends we met on this site and would like to opportunity to know more! A good bonfire and friends, or a walk on the beach is what makes our dreams real. We love music and the idea of real people with open minds.